Designed by Kerckhaert Horseshoe Company with precise and consistent specifications, optimum clinching, accurate bevels and points to provide consistent driving and outstanding results. Regular head nails have a larger head than the City styles. 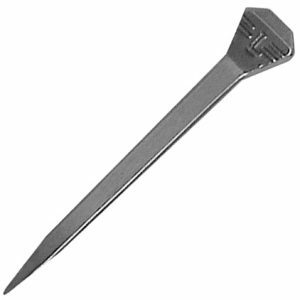 The shank of the nail is also proportionately larger than City styles. They are used for resets but are also used for horses that are working on difficult terrain or have traction devices that create more stress on the nails. Larger regular head nails are used for Draft or other work horses. They are also used for gaited horse disciplines that are shod with thicker steel.